The Greater Manchester Combined Authority (GMCA) is the combined authority of Greater Manchester, England. It was established on 1 April 2011 and consists of eleven indirectly elected members, each a directly elected councillor from one of the ten metropolitan boroughs that comprise Greater Manchester together with the interim Mayor of Greater Manchester. The authority derives most of its powers from the Local Government Act 2000 and Local Democracy, Economic Development and Construction Act 2009, and replaced a range of single-purpose joint boards and quangos to provide a formal administrative authority for Greater Manchester for the first time since the abolition of the Greater Manchester County Council in 1986. The planning policies of the GMCA were developed in the 2000s by the Association of Greater Manchester Authorities in the Greater Manchester Strategy. It is a strategic authority with powers over public transport, skills, housing, regeneration, waste management, carbon neutrality and planning permission. Functional executive bodies, such as Transport for Greater Manchester, are responsible for delivery of services in these areas. The GMCA appoints a Chair and Vice-Chairs, from among its ten executive members. The costs of the Greater Manchester Combined Authority that are reasonably attributable to the exercise of its functions relating to public transport, economic development and regeneration (and any start up costs) are met by its constituent councils. Such costs are funded by direct government grant and, as a precepting authority, with some money collected with local Council Tax apportioned between the constituent councils. 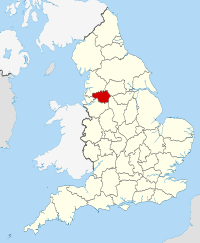 Greater Manchester was created as a metropolitan county composed of ten metropolitan boroughs on 1 April 1974 as a result of the Local Government Act 1972. From its investiture through to 31 March 1986 the county had a two-tier system of local government; district councils shared power with the Greater Manchester County Council. The county council was abolished in 1986 as a result of the Local Government Act 1985, effectively making the ten metropolitan boroughs unitary authority areas. The Association of Greater Manchester Authorities (AGMA) was established in 1986 as a voluntary association to make representations and bids on behalf Greater Manchester and continue to manage strategic public services that were delegated to it by the councils, such as public transport and waste management. In the late-2000s, AGMA began actively seeking a formal government structure for Greater Manchester under the appellation "Manchester City Region". Following a bid from the Association of Greater Manchester Authorities highlighting the potential benefits in combatting the financial crisis of 2007–2008, it was announced in the 2009 United Kingdom Budget that Greater Manchester and the Leeds City Region would be awarded Statutory City Region Pilot status, allowing (if they desired) for their constituent district councils to pool resources and become statutory combined authorities with powers comparable to the Greater London Authority. The aim of the pilot is to evaluate the contributions to economic growth and sustainable development by combined authorities. The Local Democracy, Economic Development and Construction Act 2009, passed with reference to the 2009 United Kingdom Budget, enabled the creation of a combined authority for Greater Manchester with devolved powers on public transport, skills, housing, regeneration, waste management, carbon neutrality and planning permission, pending approval from the ten councils. Between late-2009 and February 2010 AGMA debated the constitution and functions of the new combined authority, including matters such as name, voting system and remit. From February 2010 through to April 2010 the ten metropolitan district councils were consulted for their recommendations before submission of their constitution to central government; changes included extra powers for controlling further education, additional provisions for scrutinising the authority, and swapping the draft name 'Manchester City Region Authority' (MCRA) for the 'Greater Manchester Combined Authority' (GMCA), a name approved by the Executive Board of AGMA. Consultations made with district councils in March 2010 recommended that all GMCA matters requiring a vote would be decided on via a majority rule system involving ten members appointed from among the councillors of the ten metropolitan boroughs (one representing each borough of Greater Manchester with each council also nominating one substitute) without the input of the UK's central government. The Transport for Greater Manchester Committee would be formed from a pool of 33 councillors allocated by council population, roughly one councillor for every 75,000 residents to scrutinise the running of the Transport for Greater Manchester Committee (Manchester will have 5 councillors, Wigan and Stockport 4, Bury 2 and all other Boroughs 3). The ten district councils of Greater Manchester approved the creation of the Greater Manchester Combined Authority on 29 March 2010, and submitted its final recommendations for its constitution to the Department for Communities and Local Government and the Department for Transport. On 31 March 2010 the Communities Secretary John Denham approved the constitution and launched a 15-week public consultation on the draft bill together with the approved constitution. The Association of Greater Manchester Authorities, will be replaced by the GMCA, has requested that the new authority should be created as from 1 April 2011. On 16 November 2010, the Department for Communities and Local Government announced that it had accepted the combined authority proposal and that an order to establish the GMCA would be laid before Parliament. The Greater Manchester Combined Authority Order 2011, which formally establishes the combined authority, was made 22 March 2011 and came into force on 1 April 2011. Following the passage of the Localism Act 2011 on 15 November 2011, the Department for Communities and Local Government began negotiating with groups of local councils for tailored deals to be included in the 2012 United Kingdom budget. The Greater Manchester Combined Authority sought provision for a further transfer of powers that would result in an additional delegation of authority from the UK's central government. This step-change would mean that, instead of the GMCA bidding for government funding on a project-by-project basis, it will receive a sum of money from government ministers and would be able to determine, locally, how it is used. The UK Government is considering a further plan to allow passenger transport executives to raise local rail fares in their areas, and directly invest the money raised in infrastructure and rolling stock alongside the specification of additional or improved rail services. A "Revolving Infrastructure Fund" allowing the GMCA to earn-back up to £30 million per year against spending on infrastructure projects. The formation of a "Greater Manchester Investment Framework" allowing Greater Manchester to make better use of Central Government and EU funding. The establishment of a "Greater Manchester Housing Investment Board" to build new housing in the area. The creation of a "City Apprenticeship and Skills Hub" to increase the number of apprenticeships available in the area. The formation of a "Low Carbon Hub" to integrate multiple carbon reduction measures. In November 2012, Energy and Climate Change Secretary Edward Davey MP, signed an agreement between the Combined Authority and the Department of Energy and Climate Change, in recognition of its deliverance of low carbon initiatives (such as bulk-buying energy from suppliers for consumers in Greater Manchester), and committing the Government to design and deliver new green initiatives in Greater Manchester releasing millions in funding to pioneer new low carbon technologies. The GMCA was praised in November 2012 as a model for other city regions by Sir Howard Bernstein and Michael Heseltine, for its economic benefits. In May 2012, the GMCA proposed to set up a franchisor body with neighbouring metropolitan authorities in West Yorkshire and South Yorkshire, to take over the Northern Rail and First TransPennine Express rail franchises, and, from 2014/15, operate their routes under a single franchise, sharing financial risk and operational responsibilities. The GMCA lobbied the government for two stations in Manchester on the proposed High Speed 2 railway from London; at Manchester Piccadilly and Manchester Airport. From 2017, Greater Manchester, along with several other city regions, will elect a 'metro-mayor' with similar powers to the Mayor of London. This plan was announced in November 2014. In May 2015 an interim mayor was appointed by GMCA: there were two candidates for this post; Peter Smith, leader of Wigan Borough Council and incumbent chairman of the Greater Manchester Combined Authority and Tony Lloyd, the Greater Manchester Police and Crime Commissioner. Tony Lloyd was selected to be interim mayor on 29 May 2015. The first Greater Manchester mayoral election will be held on 4 May 2017. Transport for Greater Manchester (TfGM) is the executive body of the GMCA for the execution of transport functions and will be the executive agency responsible for the running of Greater Manchester's transport services and infrastructure such as Metrolink, subsidised bus and rail services as well as carrying out transport and environmental planning. The organisation will carry out the previous functions of the Greater Manchester Passenger Transport Executive (GMPTE). The organisation absorbed the previously separate ITA Policy Unit, the GM Joint Transport Unit, the GMTU and GMUTC. It will be supervised by the members of the TfGMC. In addition two functions would be delegated solely to the TfGMC without requiring GMCA approval, namely road safety under Section 39, Road Traffic Act 1988 and traffic management under Sections 16-17, Traffic Management Act 2004. A Joint Overview and Scrutiny Committee (JOSC) will be established to provide scrutiny of the GMCA, TfGMC, TfGM and CNE, each constituent council will appoint three of its elected members to JOSC and sub committees may be formed to examine specific issues. The current intention is that each of the Commissions (except Improvement and Efficiency which consist entirely of local authority members) are formed of a mixture of elected members and representatives from other partners, including the private sector, other public sector agencies and the voluntary sector. Seats are shared out amongst all the local authorities as equally as possible, with no local authority having more than one seat on each Commission with the exception of the Improvement and Efficiency Commission which will have all authorities represented. Each Commission's decisions require approval by the members of the GMCA. Whilst remaining separate entities the Greater Manchester Police Authority, the Greater Manchester Fire and Rescue Authority, the Greater Manchester Waste Disposal Authority and The Chair and Vice-Chair of TfGMC have access to all agendas and reports for meetings of the GMCA, enhanced attendance rights for non-public agenda items and speaking rights at meetings. A partnership board will be established consisting of members of the GMCA, the Chair of TfGMC and senior members of neighbouring authorities to discuss matters of common interest. The GMCA is made up of 11 members, these are, the Interim Mayor of Greater Manchester and 10 members who are elected councillors, nominated by each of Greater Manchester's constituent authorities. In most cases the nominee is the Leader of the authority. ^ 1: Directly elected by the electorate of Salford. ↑ "Contact Us : AGMA Policy and Research Unit". Agma.gov.uk. Retrieved 2015-09-07. 1 2 3 4 5 6 7 8 9 Association of Greater Manchester Authorities (March 2010). "Greater Manchester Combined Authority Final Scheme" (PDF). agma.gov.uk. Retrieved 30 March 2010. 1 2 3 "Review of City Region Governance in Greater Manchester". gmita.gov.uk. Retrieved 1 April 2010. 1 2 3 Association of Greater Manchester Authorities (2009). "City Region Governance: A consultation on future arrangements in Greater Manchester" (PDF). agma.gov.uk. Retrieved on 18 March 2010. ↑ Association of Greater Manchester Authorities. "City Region". agma.gov.uk. Retrieved 18 March 2010. ↑ HM Treasury (16 December 2009). "Greater Manchester granted city region status". hm-treasury.gov.uk. Retrieved 18 March 2010. ↑ "John Denham - Greater Manchester to be country's first ever Combined Authority". communities.gov.uk. 31 March 2010. Archived from the original on 4 April 2010. Retrieved 1 April 2010. ↑ "Greater Manchester to become first 'city region'". Oldham Advertiser. oldhamadvertiser.co.uk. 29 March 2010. Retrieved 30 March 2010. ↑ Manchester City Council (29 March 2010). "Greater Manchester agrees to combined authority". manchester.gov.uk. Retrieved 31 March 2010. ↑ "The Greater Manchester Combined Authority Order 2011". Legislation.gov.uk. Retrieved 2015-09-07. ↑ 24 November 2011 Updated 01:34, 12 January 2013. "Devolution deal set to push housing and transport powers from Whitehall to Greater Manchester councils - Manchester Evening News". Menmedia.co.uk. Retrieved 2015-09-07. ↑ "Manchester City Deal brings 6,000 jobs boost - Announcements - GOV.UK". Communities.gov.uk. 2012-03-20. Retrieved 2015-09-07. ↑ "City Deal Announcement : GMCA : AGMA Policy and Research Unit". Agma.gov.uk. Retrieved 2015-09-07. ↑ Vaughan, Henry (2012-11-01). "'Bulk-buying' fuel scheme could see Greater Manchester residents' energy bills slashed". mancunianmatters.co.uk. Retrieved 2012-11-09. ↑ "Ministerial visit supports Greater Manchester's low carbon future". greenbuildnews.co.uk. 2012-11-02. Retrieved 2012-11-09. ↑ bernstein, Howard (2012-10-05). "Greater Manchester Combined Authority is a model for regional cities". The Guardian. London: guardian.co.uk. Retrieved 2012-11-09. ↑ "Heseltine: Give regions strength". placenorthwest.co.uk. 2012-10-30. Retrieved 2012-11-09. ↑ Remarkable Group (2012-05-18). "Manchester prepares bid for rail franchise control". Place North West. Retrieved 2015-09-07. ↑ 28 May 2012 Updated 19:11, 10 January 2013. "Railways could be taken over by Greater Manchester transport chiefs under devolution plan". Manchester Evening News. Retrieved 2015-09-07. ↑ 22 January 2013 Updated 19:23, 22 January 2013 (2013-01-22). "Trafford council chiefs lobby ministers for TWO high speed rail stations - including one at Manchester Airport". Manchester Evening News. Retrieved 2015-09-07. ↑ Alexandra Topping (3 November 2014). "Manchester to get elected mayor". The Guardian. Retrieved 19 January 2016. ↑ Paine, David. "Greater Manchester interim mayor candidates confirmed". ↑ "PCC and Wigan Council leader announce interim mayor bids". BBC News. 17 April 2015. ↑ "Date proposed for Manchester mayoral elections". gov.uk. GOV.UK. 1 February 2016. ↑ Association of Greater Manchester Authorities. "About AGMA". agma.gov.uk. Retrieved 2 April 2010. ↑ Staff writer. "Leader of the council". oldham.gov.uk. Oldham Metropolitan Borough Council. Retrieved 24 March 2015. ↑ Heward, Emily (7 February 2014). "Trafford's new council leader Sean Anstee is country's youngest at 26". Manchester Evening News. Trinity Mirror. Retrieved 27 May 2016.